We have thousands of properties for sale all over France. But we've no property for sale in Valencay at the moment. And that's something we want to change. If you have a property to sell in Valencay (or nearby) then act now to get a 50% discount. Just place your advert in the normal way (Click here to place your advert). Then send us an email quoting "Valencay" and telling us that you you saw this offer. Valencay, in the Loire Valley, has a population of just under 3000. The city so inspired the French writer George Sand that she remarked, "It is a most beautiful place. No king could have a more picturesque park." The King he referred to used to inhabit the town's magnificent castle built in 1540, that dominates the skyline. This chateau hosts an important historic event each year on July 23rd, and also plays host to visitors throughout the year, who come to admire the architecture and gardens. 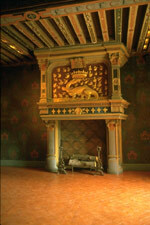 Within the chateau's grounds there are two museums. One is the Talleyrand Museum, featuring a fantastic display of artifacts and furniture from the chateau. The other is the Car Museum, containing quite an impressive collection of cars that used to be owned by France's rich and famous. The town's specialties include goats' cheese, potatoes and pies. If you would like to sample some of these yourself, then head down to the market on a Tuesday morning. The market lines the streets of the town, which are now looking very smart having been gradually renovated over the last few years. There are plenty of opportunities for fishing in the River Cher, that runs not far from the town. Swimming, mini-golf, bowls and tennis are all also well catered for within Valencay. Paris is about a two hour drive away, although if you're flying then might want to fly straight to Tours. RyanAir have regular flights there from Stansted. The Loire Valley is a popular destination both for Parisians and foreign buyers to own a second home. This has pushed many property prices in the region very high. Valencay, however, doesn't fair too badly. At the time of writing we have a nice, 2 bedroomed village house for sale for EUR 67,650. Do you know Valencay better than we do? Do you have photos of Valencay? Located in the very north of the Indre department, within the Centre-Val-De-Loire. Access: Paris is mere two hours away, Although Tours has the nearest international airport. Economy: Tourism provides for a large proportion of the town's income, along with more traditional industries such as masonry. 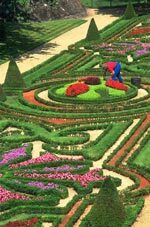 Interesting fact: The local castle, built in 1540, features some of France's best horticultural skills on its grounds.